Have you ever had your Kindle (or Fire) screen “freeze” or become unresponsive? It can happen for a variety of reasons, but the probable cause is a low battery. If this happens to you, try the simple step of plugging it into your charger for a few minutes; although it may sound obvious, please make sure the charging indicator light is on. That should do it but, if it doesn’t, there is one more thing you can do before you break down and either smack your Kindle or call Amazon’s Kindle Customer Service: try resetting it. To reset it at this point, slide (or press, as appropriate for your Kindle or Fire) and hold the power switch for 30 seconds or longer then release it. Your Kindle should then spend a little bit of time resetting, and you should be back in business! If not, unfortunately, it is probably worth a call to Amazon’s Kindle Customer Service department. A friend of mine’s Paperwhite recently had a screen freeze and it was fairly frustrating as she was in the middle of a book, and a simple reset as described above fixed the issue. Yes, I was the customer service phone call in this case…. Are you receiving the blog’s posts by email? You can if you click here or type in https://fkbt.com/subscribe into your web browser – just fill in your email address, smack the “Subscribe” button, and make sure you click the link within the confirmation email! Have you ever had your Kindle screen “freeze” or become unresponsive? It can happen for a variety of reasons, but the probable cause is a low battery. If this happens to you, try the simple step of plugging it into your charger for a few minutes (although it may sound obvious, please make sure the charging indicator light is on). That should do it but, if it doesn’t, there is one more thing you can do before you break down and either smack your Kindle or call Amazon’s Kindle Customer Service: try resetting it. To reset it at this point, slide (or press, as appropriate for your Kindle or Fire) and hold the power switch for 30 seconds or longer then release it. I thought it was an appropriate time to remind you of the free sample option Amazon has with the Kindle program: consider it like going to the bookstore (well, that is if there are many of them still open these days) and turning a few pages before buying it. 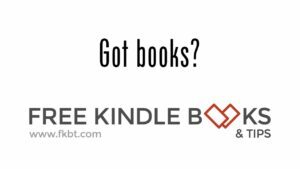 You can get a free sample of a Kindle book – usually a few chapters to just a couple of pages – to try out and see if the book is something you are interested in prior to buying. I use the feature quite a bit, as I get extremely annoyed in shelling out money for a book and realizing about 10% of the way through it I think it’s not for me. If it is a free book and I am even remotely interested in it, I will download the whole thing. What do I have to lose? Nothing (e.g., it’s free!). Should I complain because I don’t like it or the genre? No. Again, it’s free – why the sense of entitlement? Over the past several years I get complaints emailed to me from time-to-time about too much of one genre or the other being available for free. Why? I don’t know – a publisher or independent author is making it available for free which sounds great to me. Like I said before, you don’t have anything to lose! Maybe these folks should redirect their energies and complain directly to the dysfunctional US Congress – both parties – about getting their act together and behaving as adults…but that’s another blog post for another venue. If it is not a free book (gasp! ), I usually will download the sample in order to see if I like the first couple of pages, then I will make my buying decision. Why waste money sight unseen when I can have a sample downloaded to my Kindle for free? I bring this up as I don’t want any of you to forget about the free sample option. I have a separate folder / category devoted to samples on my Paperwhite, and I select and download 3-4 samples at a time when I see something after trolling through the Amazon store, but I may not check the sample out until later. Why wait so long? Usually, it is because I am in the middle of another book – I’m not one of those people who can multitask between three and four books at the same time. When I’m reading a book, I’m usually pretty absorbed and get deep into the story, characters, etc. and can look up at the clock and realize three hours have quickly passed. So, how do you find / download the free Kindle sample? Go to any Kindle book available on Amazon’s website and on the right-hand side of the page you will see another icon titled “Send a free sample.” Click that button – if you have multiple Kindles, please make sure you have the correct Kindle listed in the drop-down menu. If you are looking at a book via shopping directly on your Kindle, one of the options is to check out the free sample, click that item and the sample will be delivered to you. Here’s a quick reminder – if I or anyone else tells you about a book being offered for free or discounted on the Amazon Kindle website and you are interested, please jump on it immediately. Don’t wait a few days or even a couple of hours, or you may see the book being offered for sale vs. what you thought was free! I’ve seen it happen many times over the years. Why does that happen? Sometimes there is a glitch to the Amazon system, an author may have forgot to set the book’s promotion on the Amazon website, or who knows? About seven years ago, we had an app developed that allowed you to read the blog on Fire tablets and Android devices such as phones, other tablets, etc. It was free, of course, to download and over the years it had been downloaded over one million times (I wish I had a dollar for each one of them!). Everything worked just fine until the beginning of January, then it just stopped. Completely. I received a lot of emails from many of you asking what was going on, when would it be fixed, and the negative one-star reviews started showing up from people who had been using it successfully for years. I won’t give you the details of how the sausage was made on getting it resolved except it’s impossible to track down original developers after seven years, but we found a great new developer and the app has a new version available now in the Amazon App Store. Yes, it is still free! If you still have the old version of the app on your Fire Tablet or other Android device and downloaded it from the Amazon App Store, you should be able to tap the “Updates” section (within the “App” folder of your Fire Tablet) and you can have the revised app updated with just a tap on the screen. If you deleted it from your device, or if you’ve never tried it before, you can get it for free from the Amazon App store if you click here or go to http://geni.us/fkbtfreeapp with a web browser. Please note we are still waiting on Google to approve the revised version for the Google Play Store. You can download a compatible version if you go to the Amazon App Store link above or wait until it is available from Google. Also, rest assured there is no tracking information with the app – we don’t ask for your email address or any personal information, and the app does not communicate back with us: it’s sole function is to display the posts from fkbt.com and allow you to get the free and discounted Kindle books we tell you about each day. Thanks for your patience, and I hope you enjoy the free app! 40,000+ Free Kindle Books from Amazon Today! The title of this post was not a misprint: how would you like to have access to over 40,000 Kindle books for free on the Amazon website? If that wasn’t enough, how about access to over 1 million free Kindle books from other sites? It’s enough to load up your Kindle and be able to read forever without having to spend a penny…. How do you get access to them? Just grab my book – for free, of course – that helped launched the blog – you can click here or type in http://geni.us/fkbooks into your web browser to grab it. This is the one that has links to all of the free Kindle books by genre, and Amazon doesn’t like me promoting it very often. Many of you have already grabbed this one in the past, and it has been downloaded over the years in excess of a million times (I wish I had a dollar for each of the downloads!). It’s going to be free for just a few days, so grab it now! Amazon Account But No Credit Card? I have been downloading Kindle books for quite a while, always the free ones. In fact my account is so old I don’t have a credit card attached to it anymore, so I couldn’t download a priced book even if I wanted to. I really like the freedom this gives me, in that I don’t have to worry about making a mistake, clicking the button, and getting charged for something I didn’t realize was free. Here’s the dilemma… I now own a Kindle Fire and would like to download a game, which is not free. Is there a way to do this without using a credit card? I’m not quite sure how gift cards work. Any ideas? An Amazon account without a credit card – I’ll bet it’s rare, but it could happen if your initial credit card expired or you got rid of it and never updated your Amazon account; seeing as how the reader above gets her Kindle material for free, I can envision a situation where someone could download the free books, games, music, and apps from the Amazon website and never pay a cent. Have someone give you an Amazon gift card. Turn in your spare change to a Coinstar machine and receive an Amazon gift card in exchange for no fee (click here or type in http://smarturl.it/fagc into a web browser for my post on instructions on how to do that). Most major grocery stores and other large retailers have a gift card display, where you can purchase gift cards not only to that store but to the big box retailers and online retailers such as Amazon and the iTunes store. You could take cash to one of those stores and purchase an Amazon gift card in varying denominations. Assuming you tried one of the three methods above, you would then go online to the Amazon store, login to the My Account section, and apply the gift card code (and funds) to your Amazon account – all without having to whip out a credit card. Can anyone think of another method? If so, please leave a comment in the comment field below. The following is a revision of a post I first posted about in August 2014, and I repost / update it each year before Christmas. I am always reminded of this post as I’ve got another big jar of coins I gathered at home and I’m thinking of needing some Amazon gift cards for this upcoming Christmas. If you are reading this post on the blog’s website or Facebook page, I would appreciate a “Like” or “Share” so your friends and family can be notified of this tip, also! Kindles and other eBook readers have some costs to them: by the time you purchase the Kindle and other related accessories (cover to protect it, maybe an extra charger, etc.) can certainly add up. However, you’ve made your initial investment in the Kindle hardware, and there is enough free content out there for you to read the rest of your life without buying another book. Forever. While I do read a lot of the free books I talk about here in the blog I still enjoy certain authors and will purchase a lot of books. Some of them are inexpensive offerings from independent authors and some are from your mainstream “big name” authors, and I don’t care what the price is – I’ve gottagetitnow. Well, I do care what the price is but I may just wait until it gets below $10 unless it’s a new one by David Baldacci. I’m sure there are offerings by favorite authors you want to buy, too. So, what’s my point with this post? Great question because, as in real life, I am getting long-winded. You have a source of “free” money you can spend in the Amazon store and you probably don’t realize it as it is right under your nose. I’m talking about your loose change. Most of you have seen the change conversion machines in grocery and other stores, and a lot of you have used them: you take in your coffee can of loose change, dump it in the hopper, the machine counts it and then spits out a receipt you take to the cash register to redeem for paper currency or a credit in the store. The one main drawback to these machines, to me, is a lot of them take a 10% or more commission / cut of whatever you brought in as their profit. For example, at an 10% commission rate you would need to bring in $11.11 worth of change to receive a $10 bill. Some people will say “so what” and accept that as a cost of doing business vs. rolling the money yourself and either turning it in to a bank (if they accept the change these days – my local branch of Bank of America does not) or taking it to a convenience store who needs it and having everyone behind you steam as you and the convenience store clerk count out a bagful of pennies. That’s really a stupid effective interest rate for a three day loan, assuming they empty the machine every three days. The grocery store usually splits the fee earned 50-50 with the owner of the equipment, but even if the grocery store is providing a three day loan to the equipment maker until they are reimbursed, that is one heck of a money maker (why didn’t I think of that?)! I’m sure some of you are still wondering what my point is with this post. I’ll get to it, I just had to set the stage. Coinstar is one of the largest providers in the USA of this equipment to stores; they are also the parent company behind the Redbox DVD rental machines you seem to see everywhere. They have partnered with Amazon to not charge you a fee for the change you bring in if you bring in a minimum of $5.00 worth of change, but they will give you a gift card eligible for 100% of the change you bring in to be used at the Amazon website; I am assuming Amazon is paying the 8% commission fee as a customer acquisition cost. That’s actually a huge benefit for you and me as we feed our Kindle book addiction or shopping habits on Amazon. Using my earlier example, if you brought in $11.11 worth of change and selected the Amazon gift card option, you would get a $11.11 Amazon gift card as your receipt. You would then enter the gift card details on your Amazon account on your computer (or Kindle, if the wireless feature is on with the browser pointed to the Amazon website). You can then use those funds now applied to your account and buy not only Kindle books but anything else on the Amazon website. You also don’t have to roll the coins yourself or, if your house is like mine, have a couple of containers here and there full of spare change. You’re also not giving up any of your money as a commission just for someone to accept your spare change. I hope that’s change you can believe in (pun intended). Coinstar has partnered with other companies in addition to Amazon to offer gift cards with no fee to you – you turn in $11.11 worth of coins, you get a $11.11 gift card to the Amazon store or to the other store(s) participating in the program. While Coinstar is one of the largest providers of this equipment to stores in the USA, they are not the only one so don’t assume your local grocery store is a Coinstar machine. To find a Coinstar machine, you can point your web browser to https://www.coinstar.com/findakiosk and do two things from this page: (1) enter your zip code in the middle of the page to find a Coinstar machine near you, and (2) see a list of companies that have signed up for the gift card promotion by clicking “details” under the name of the store / retail location. When I just did the same for a location near me, in addition to an Amazon gift card my selections were to lots of major retailers. You can also donate the change to eight different charities vs. taking a gift card, and the charity will receive 100% of the proceeds. My old quart-sized Mason Jar I use to hold my change is almost full of coins, so it’s off to the Coinstar machine!